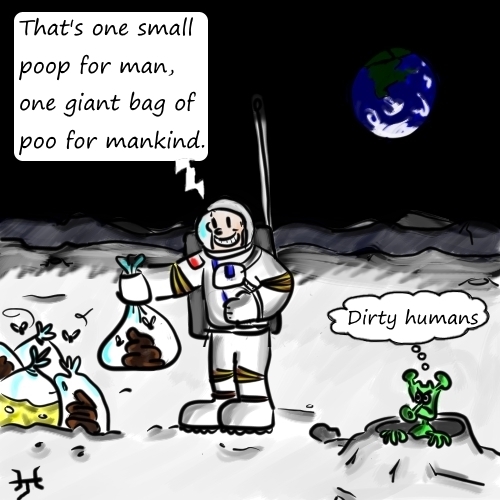 Fact 4 Today: The Moon - What A Dump! Only 12 people have ever walked on the moon but you'd think it was a lot more because the moon has over 180,000 kilograms of man-made rubbish on it! The rubbish includes: 12 pairs of boots, a bird feather, 2 golf balls, a golden olive branch and 96 bags of poos, wees and vomit. ok, I googled, but why would they leave 12 boots on the moon?